McKinley also signed the Curtis Act of 1898, which removed some tribes’ control over their lands. As the Los Angeles Times notes, the battle has consumed the small Northern California town with unusual zeal usually reserved for symbols of the Confederacy — though McKinley is not generally seen as controversial. 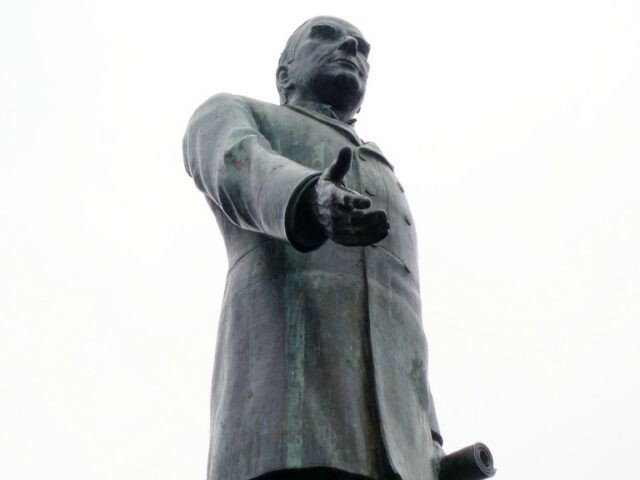 The target is an 8½-foot bronze likeness of William McKinley, who was president at the turn of the last century and stands accused of directing the slaughter of Native peoples in the U.S. and abroad. Supporters of the statue have started a Facebook group that aims to put the question to a public referendum, rather than letting city officials decide. McKinley supported tariffs to protect American manufacturing — a stance that has led to a revival of interest in his presidency, as the Trump administration pursues similar policies. He was also briefly mentioned during the Obama administration, when the mountain that once bore his name — North America’s tallest — was renamed and given its Athapascan title, Denali (“the great one”). McKinley was assassinated by an anarchist in 1901 and succeeded by Theodore Roosevelt. His tragic death led to memorials being erected to him nationwide.